When it comes time to purchase your next car, one of the first things you’ll want to do is research. Between the numerous brands and models on the market, there are several key factors that will determine which vehicle best fits your needs. 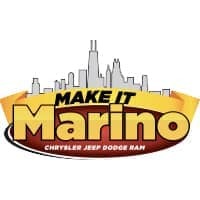 To help you easily identify these qualities, our team at Marino Chrysler Jeep Dodge Ram (CJDR) have put together this list of reviews. Our vehicle inventory is expansive, and you’ll have a lot of features and specs to parse through. By referencing these reviews, customers in the South Chicago, Skokie, and Forest Park areas can easily view the strongest facets of all our models. Working with Chrysler, Jeep, Dodge, and Ram, our dealership is able to maintain a vast inventory of vehicles. We know that among this catalog, your next car is waiting for you. In order to find it, you’ll need to research some important specifications. Maybe you’re looking for an engine with the tons of brawn or reduced fuel consumption. 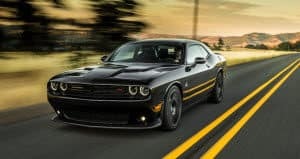 By reading these reviews, you can discover the fuel economy, size, and horsepower of each car. Or if safety is more of a priority, discover the many technologies and structural features of our CJDR vehicles that will protect you and your family. No matter which features are at the top of your priorities list, we have the information you need to choose the right car. Click the links found on this page to learn more. Your time is valuable, and Marino CJDR understands that completely. By reading through these reviews, you can save yourself time when visiting our showroom. By the time you arrive, you’ll already know exactly the model you’re looking for and what specs it should have. These reviews are organized in such a way that it’s easy convenient for you to pick out the information that matters most. Write down all your must-have features. If you come to us with a list of criteria, we’ll be sure to lead you to only the vehicles that meet it. And don’t worry-when it comes to CJDR cars, high standards are encouraged. If you have any questions regarding anything not covered in these reviews, don’t hesitate to contact Marino CJDR for more information. Our team of experts is dedicated to helping all customers in the South Chicago, Skokie, and Forest Park areas find their perfect vehicle. Contact us today to learn more!